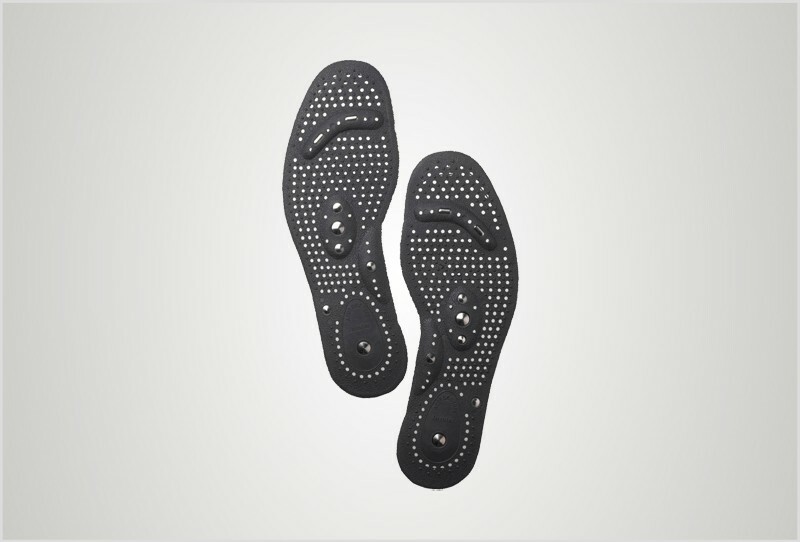 Reflex points on the feet relate to the organs, glands and other parts of the body. When stimulated, they enhance the nerve and blood supply, helping to balance the body and promote its natural healing ability. 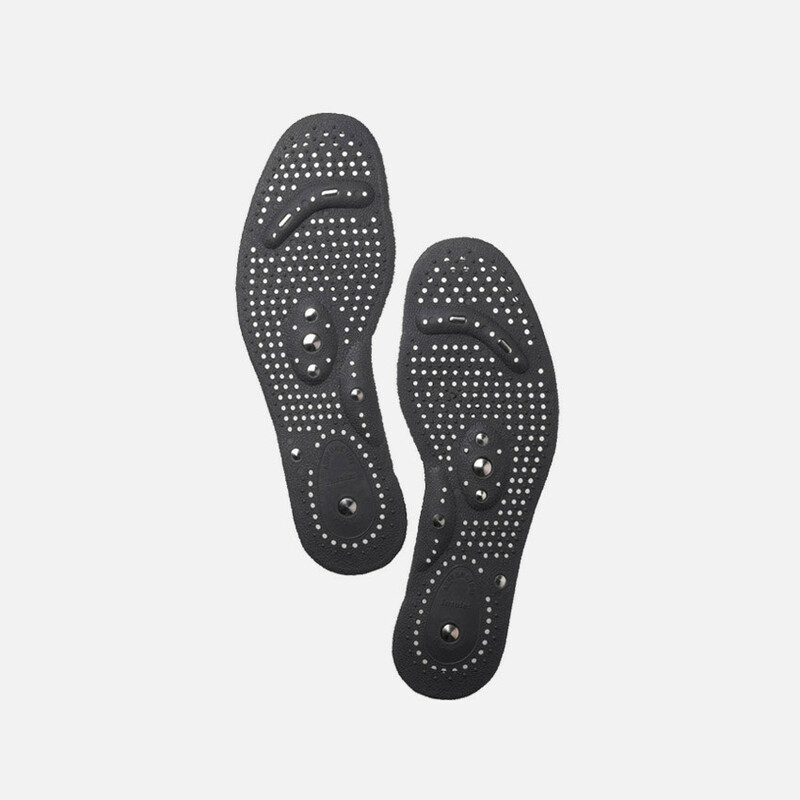 16 magnets are strategically placed to stimulate the vital reflex points on your feet, further enhancing the reflexology effects of the soles. Made from durable synthetic resin and permanent ferrous magnets.